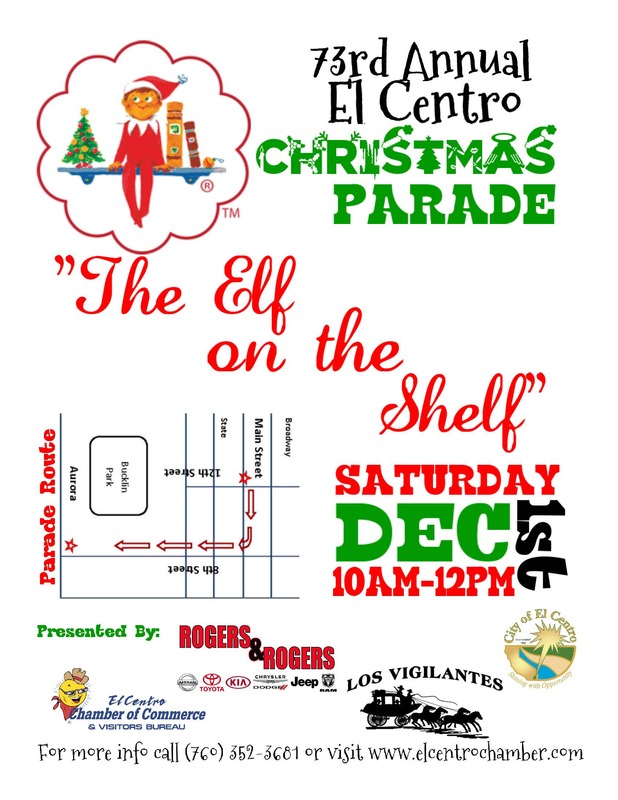 Join the El Centro Chamber of Commerce and Los Vigilantes as we celebrate the Christmas Spirit with the Annual Christmas Parade. This parade boasts more than 130 entries that include marching bands, school dance & drill teams, equestrian teams and various Christmas themed floats from local residents and businesses. Some 5,000 people attended the parade last year and attendance just keeps growing. Don’t miss out on this fun time, bring the whole family and enjoy the festivities. For applications and information on participating in the Christmas Parade contact the Chamber at (760) 352-3681.